To download Write-n-Cite for Legacy RefWorks, log into your Legacy RefWorks account. 2. From the Write-n-Cite pop up, read through the Install Information (Recommended), then select the appropriate download option for your device. 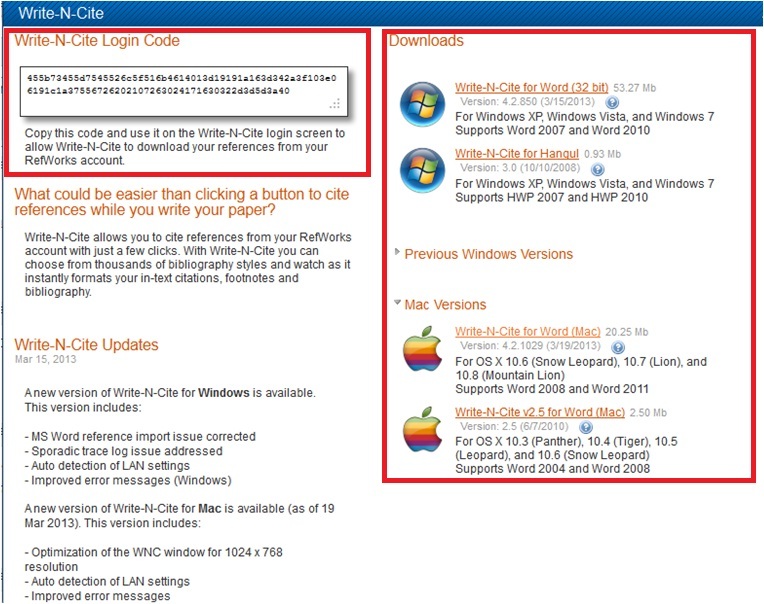 Note: the Write-n-Cite login code is required to log in from a word document when using Write-n-Cite, this code is permanently available in the pop up screen for future use. Write-N-Cite or RefWorks Citation Manager? How do I get the Refworks tab in Word on my own computer?